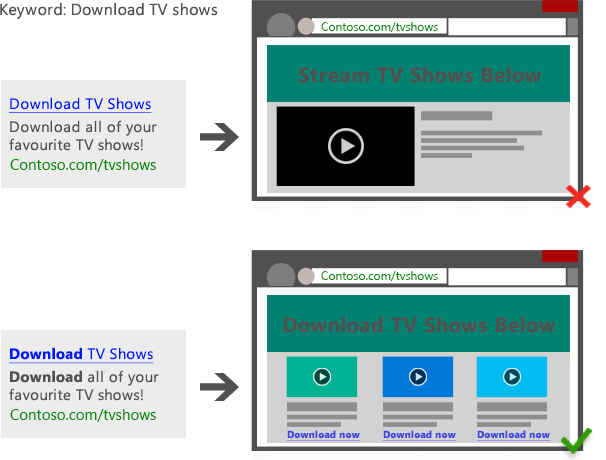 Advertisers and consumers both benefit when they have positive experiences with Bing Ads. To achieve this, please follow the policies about relevance and quality on this page. These requirements focus on four core aspects of your campaign that affect user experiernce: keyword relevancy, ad copy, landing page and site user experience, and landing page and site content quality. Advertisers with more relevant keywords and higher quality ads and landing pages are usually rewarded with more prominent ad positions or a lower cost-per-click (CPC). Less relevant keywords and low-quality ads and landing pages might result in less favorable ad positions or a higher CPC. In some cases, the ad might not appear at all. Please check the Marketplace Exclusion section below for scenarios in which ads or sites may be completely excluded from the marketplace. Using the right techniques in choosing keywords and building ads not only drives user engagement, but it also helps maintain the ROI of the marketplace for all advertisers. Keywords should be relevant. This means your site should be a satisfactory destination for users, based on a primary user intent of the keyword(s) you select. The specific range of products, services, or content on your landing page. The general content, purpose, and theme of your site. Please note: Extremely popular or trending queries may be subject to a higher standard of relevancy and ads must fully align with the primary user intent of the keywords/queries to participate. Be clear, truthful and accurate: Clearly and accurately demonstrate in your ad how your keywords relate to the product or service you offer. Be correctly constructed: Ads should be grammatically correct, not include misspellings, and be formatted correctly. Ads must be highly relevant to the product, services or information presented on your landing page, or the general content, purpose, and theme of your site. 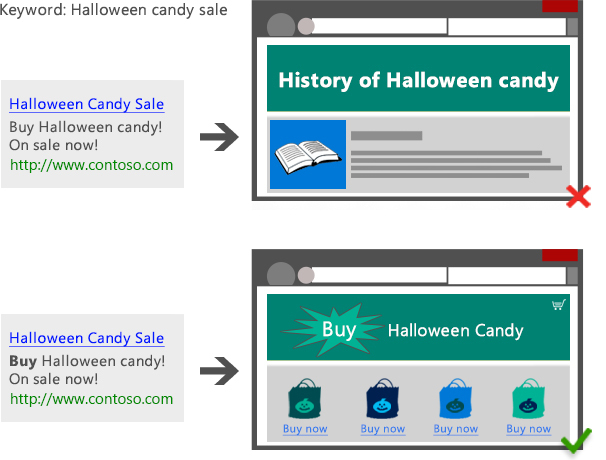 When an ad implies that a product is for sale, the landing page must allow the purchase of that product. For information about how to format and create your ads, please see our Ad content and style policies. 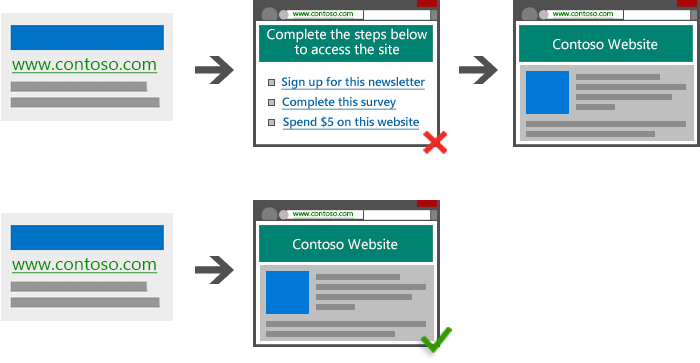 Sites may be excluded if there is reason to believe that their advertising or business practices are potentially malicious, harmful or deceptive or they consistently violate Microsoft’s policies. For more information, please see the User safety and privacy policies. Sites that include viruses, malware, spyware, or other self-installing programs. Business models that attempt to mislead site visitors, or that seem deceptive or fraudulent. Phishing sites that try to trick visitors into sharing personal data for fraudulent purposes, such as stealing one’s identity. Pages that consist entirely of advertising, or whose main purpose is to direct site visitors to advertising. Sites operated by advertisers who consistently violate our Bing Ads policies or submit large numbers of irrelevant keywords. The functionality of your site should not surprise site visitors or interfere with a user’s ability to navigate. Navigation buttons should operate in a standard and predictable manner, and sites and all parts of the page content should load properly. 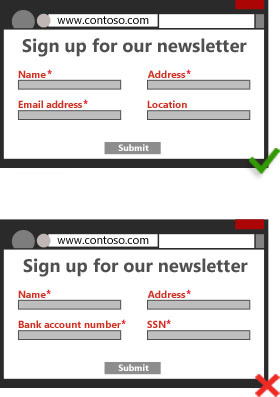 Use doorway pages, or cloaking. Change browser preferences or resetting default home pages. 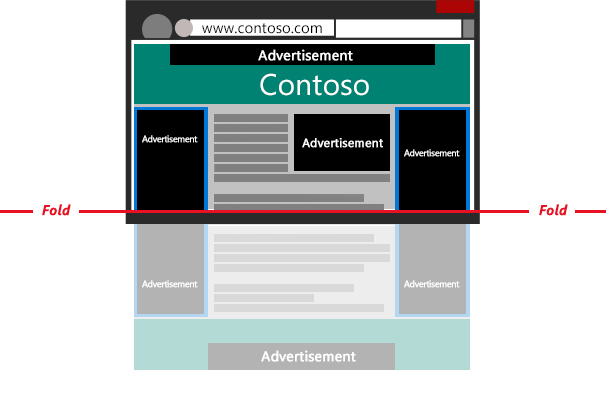 Resize browser windows or disabling browser buttons. Generate any disruptive pop-ups or pop-unders. Please note that functionalities that are part of the site’s expected experience or otherwise non-intrusive or user initiated, such as an age verification or log-in for example, would be acceptable. 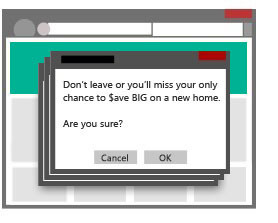 Spawn multiple pop-ups or pop-ups that prevent visitors from leaving the site. Do not open properly or consistently result in a “product not available” message. 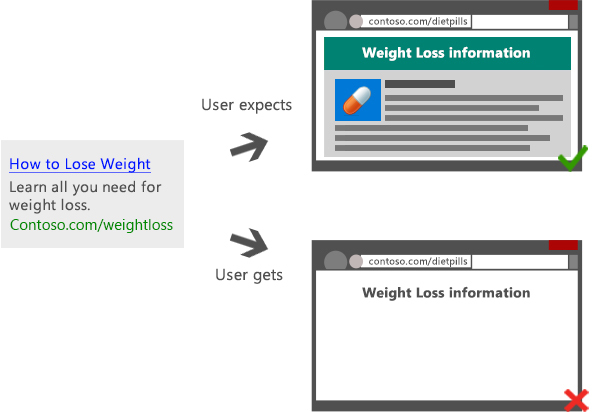 Redirect site visitors unexpectedly to unrelated domains. Generally, we consider content to be valuable if it enables users to find the products, services or information they request easily, or assists users by informing or shortening their buying or research process. Your landing page should provide clear, direct access to content that is related to your ads and keywords and should not obstruct, delay or confuse users. Landing page and site content should not function primarily to support the display of advertising or attract traffic. Feature content that functions primarily to support ad monetization. Are built for search engines and feature excessive off-topic keywords or pages that feature hard-to-read text. Consistently feature sparse or limited content, particularly where the user would expect to find a range of offers, products or information on a similar site. Exist only to redirect to other businesses without adding significant value as an intermediary, e.g., by providing enhanced pricing, product or merchant information. Misrepresent the origin or intent of their content and as a result are likely to deceive a portion of the target audience. Require the entry of personal data unnecessary for the purposes of providing services or completing a purchase. Delay or obstruct the user’s access to requested content, products or services by adding steps solely designed to monetize the user. Employ marketing tactics that might be considered evasive, overly sensational or potentially confusing. The user would expect online content but it is delivered in an offline format (such as SMS information services).